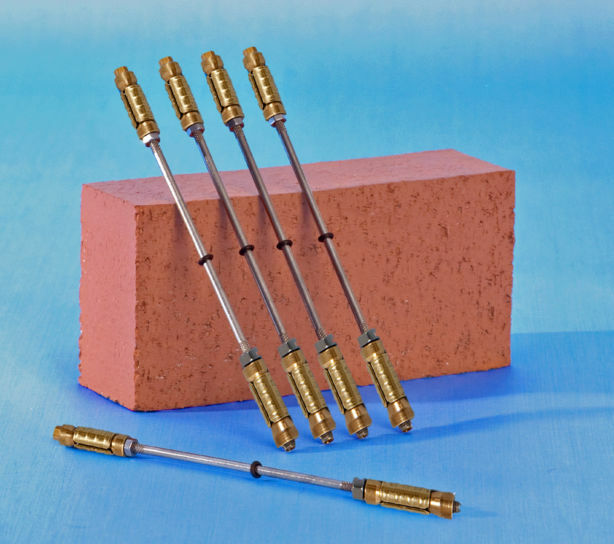 Replacement wall ties for cavity walls. 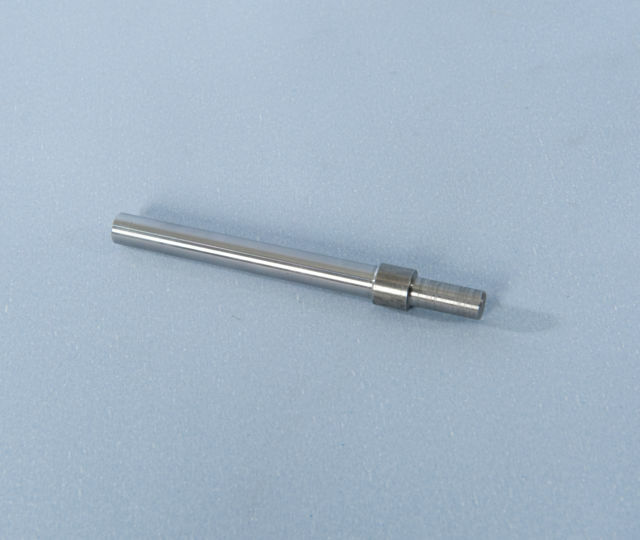 Quick-Fix mechanical tie has durable neoprene expansion sleeves at each end of an Austenitic Stainless Steel bar. The Quick-Fix replacement wall tie features a unique part threaded tall-nut which when turned, rotates the bar, forcing open the Neoprene sleeve to grip the remote masonry leaf. At a factory set torque level, the bar taps a thread in the top of the tall nut to force it down the bar, expanding the near leaf to grip the wall. Being remarkably tolerant to host material variations these mechanical wall ties, with their radially expanding neoprene sleeves, are suitable for all wall tie replacement applications save for use in perforated bricks or where fire resistance of greater than half-an-hour is required (Ref: BRE Digest 329 Decision Tree). The replacement cavity ties are part of our exclusive Platinum® range of expanding wall ties, which are packed in boxes of 150 units. Wall tie lengths indicated below are based on conventional cavity brick wall construction. 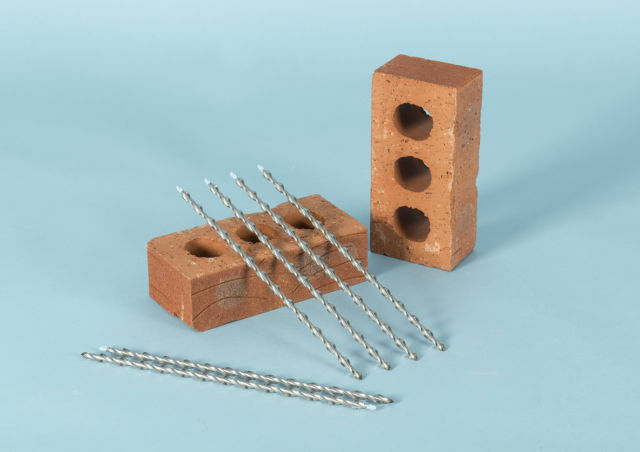 Lateral restraints in a kit for restraining a bulging masonry wall by tying it back to structural flooring members. 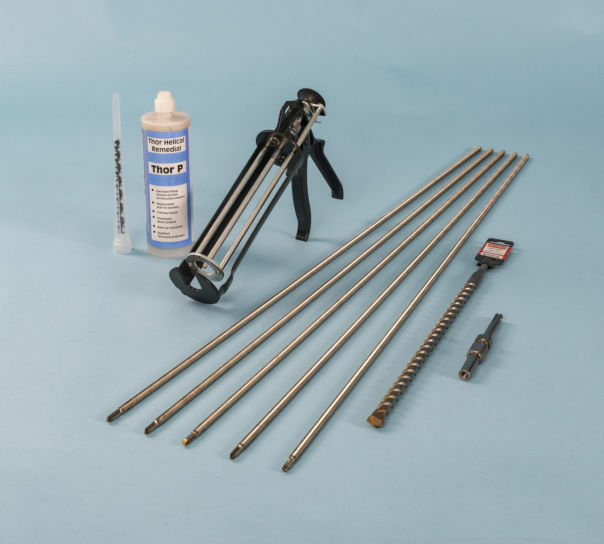 Repair kit includes 5 lateral restraint ties, resin, drill bit and setting tool.